Victoria Wilcox’s Inheritance begins a trilogy about Doc Holliday, a figure from Wild West lore whose name has been linked for over 100 years with the Earp brothers and the 1881 gunfight at the O.K. Corral. This first volume reveals his little-known origins as a son of the Old South: a sensitive yet hot-tempered young man whose early life, in the hands of this talented storyteller, proves every bit as fascinating as his legend. The story opens with a ten-year-old John Henry Holliday attending his grandfather's funeral in 1862 Georgia, taking pride in his “distant Irish ancestors who had fought English invaders” and looking up to his father, a Confederate major who battled Yankee oppression. It concludes in 1873, with John Henry on the run from the law and turning westward towards the future. The tale of his intervening years is full of incident and meticulously detailed – one gets the feeling that very little about his early life has been omitted – but the telling never drags. Dentistry may not sound like the most exciting subject, but Wilcox even makes Holliday's time in dental school sound interesting! The afterword reveals that she based her novel on 18 years of research, and it serves to support and direct the narrative without weighing it down. The importance of family as the center of Southern life is apparent from the first pages, with the genealogical chart and lengthy cast of characters, most of whom are relatives. No need to be wary of this, though, since all of the relationships among "John Henry's people" are clearly presented. The scenes change along with John Henry’s travels, from his birthplace of Griffin in central Georgia to gas-lit Atlanta streets to the tiny, remote wilderness of Valdosta, and from the bustling sophistication of Philadelphia to the breweries, steamboats, and gambling dens of St. Louis, where he meets an attractive woman who will loom large in his later years. Both place and time are deftly evoked. John Henry grows up as the only living child of a wealthy Southern family whose fortunes decline after the Civil War and who are forced to reinvent themselves during Reconstruction.The era’s deeply ingrained racism isn't comfortable to read about, and neither are some of John Henry’s attitudes and actions. 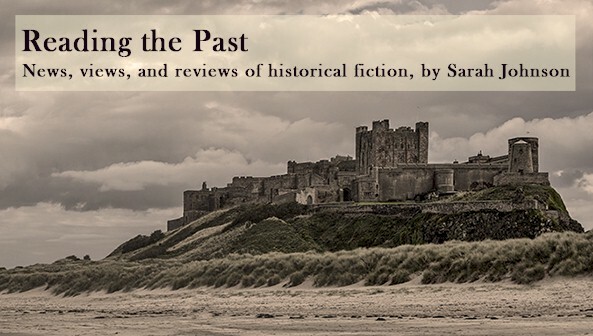 Historical novels should provide an honest reflection of their times, and this just one of many things that Inheritance does very well. In all, it accomplishes what it sets out to do – provide an intimate look at the younger Doc Holliday and the Southern roots which formed him – and his story is completely absorbing. For those enamored of Western legends, Gone with the Wind, or American history in general, this grand epic will be a must-read. 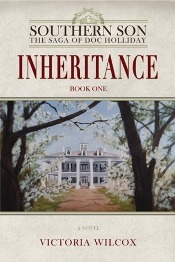 Inheritance was published by Knox Robinson in hardcover in May ($27.99, £19.99, €26.99, 349pp). For more information, see the author's website at http://victoriawilcoxbooks.com or its reviews on Goodreads, where it has a solid 4.93 rating out of 5. I LOVED reading Inheritance! Excellent review of an excellent book. Definitely a Do Not Miss! Thanks for your comments on the review, and glad you agree on the novel! I was stunned at how much I loved this book -- Wilcox completely seduced me, and no matter how hard I tried, I was taken with John Henry. Your comments about the story are spot on. So looking forward to the next book! John Henry was a surprisingly sympathetic character despite all his flaws. I'm ready for the second part of his story anytime (though it's not out until next spring! ).